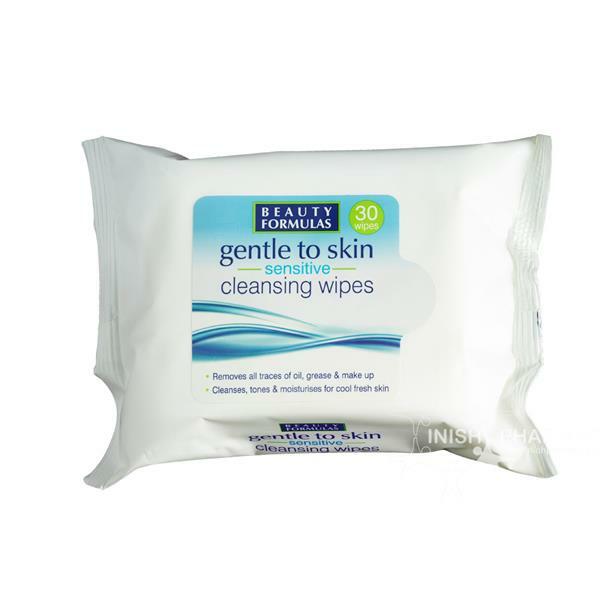 Beauty Formulas Gentle to Skin Sensitive Cleansing Wipes help to remove oil, dirt and grease easily. The cleansing wipes will successfully unblock your pores and remove bacteria leaving your skin feeling fresh and clean. Ideal for oily, spot prone skin.